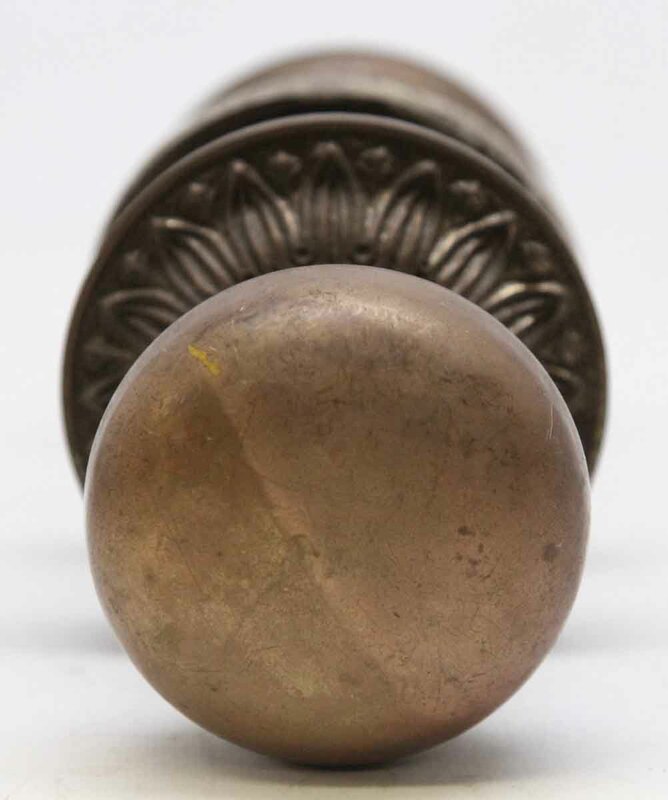 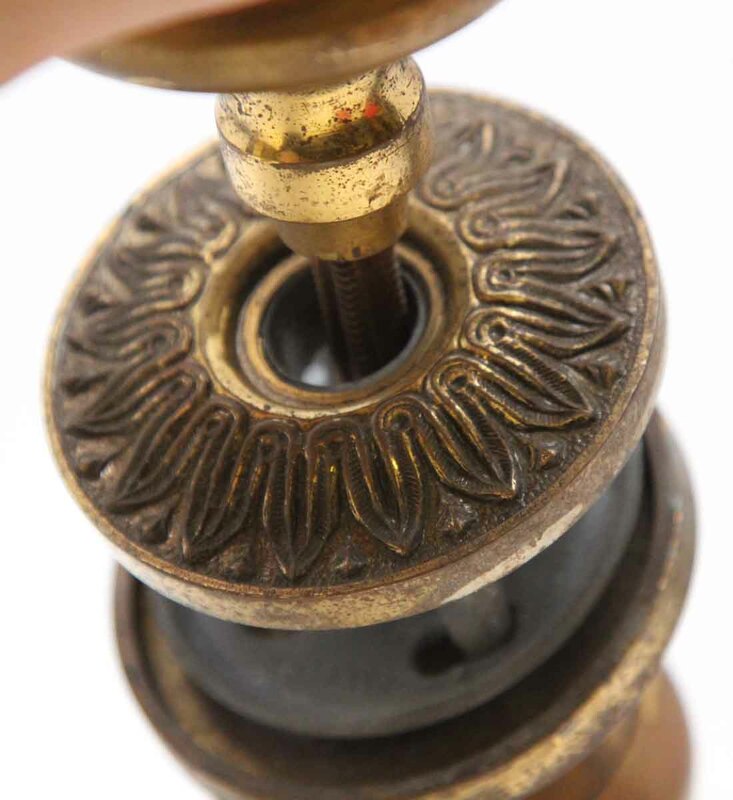 This flowered knob has an Italian look to it with an excellent patina. 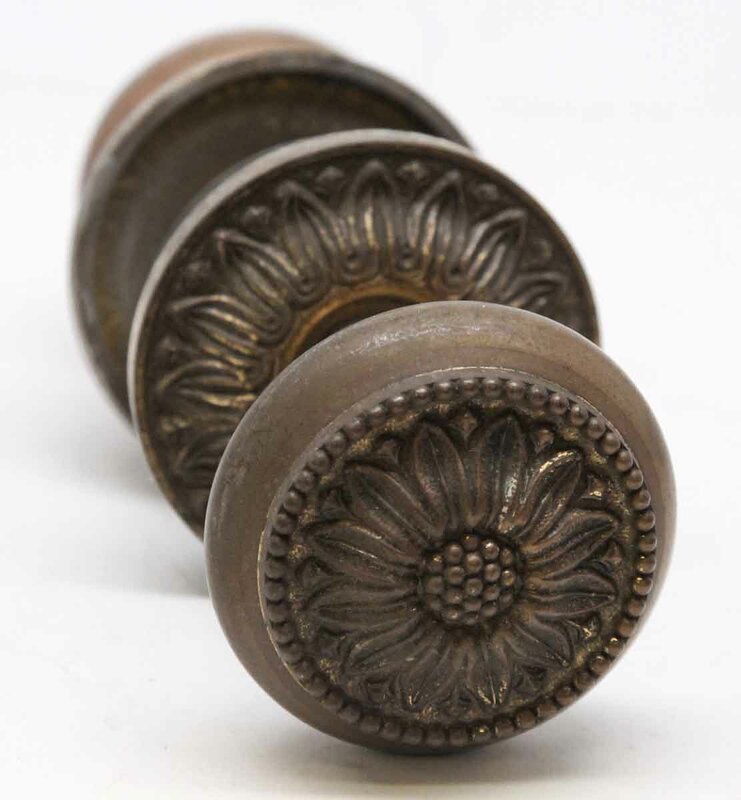 Set includes one floral knob, one brass knob with matching patina, two rosettes and a spindle. 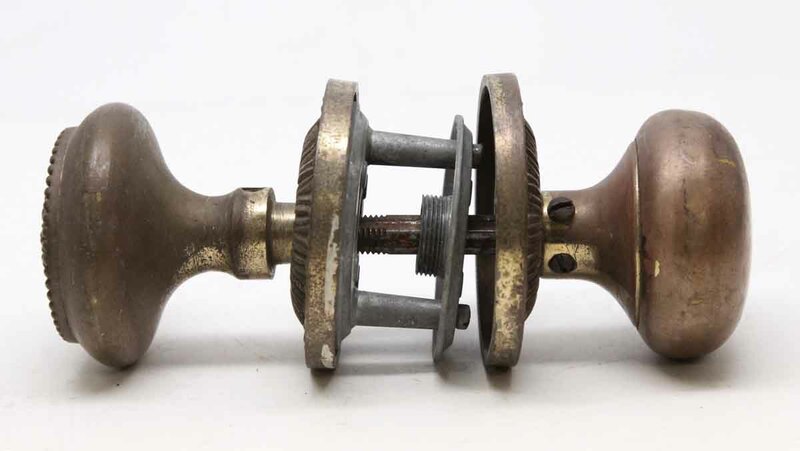 Has its original patina. 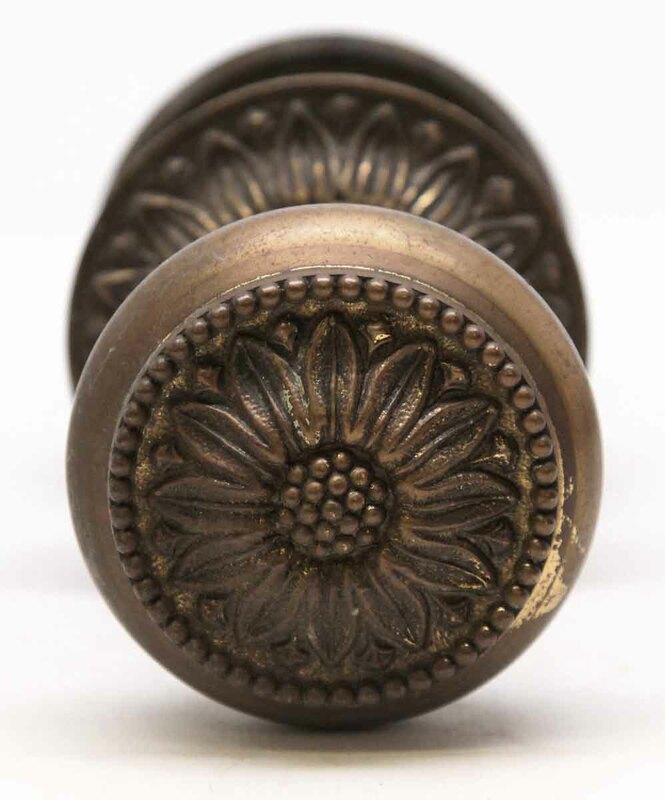 With beaded design around sun flower.